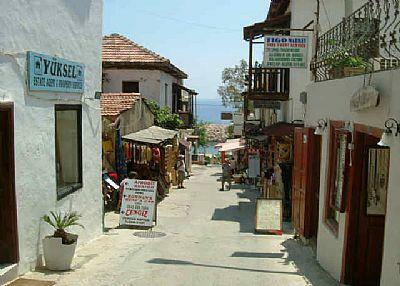 Once a fishing village, Kalkan has retained its authentic charisma, despite new developments around the town. 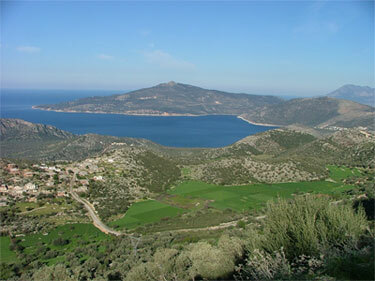 The village, originally called Kalamiki, was occupied by the Greeks till 1923, when the Greco-Turkish population exchange programme was implemented. 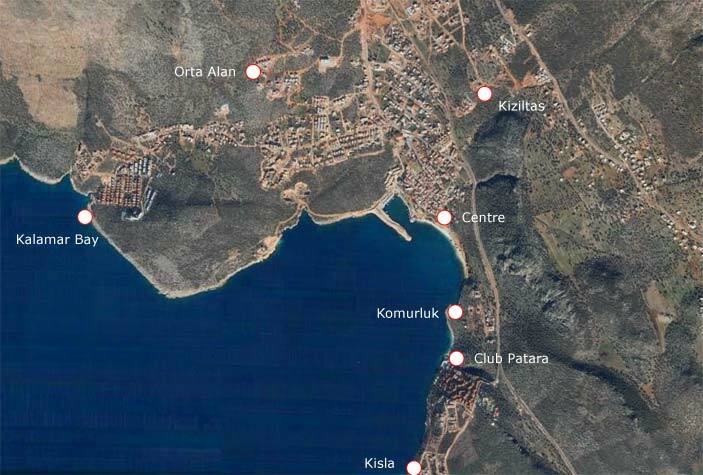 Why buy property in Kalkan? Kalkan, which is actually a village in Kas, is a sophisticated town and appeals to travellers looking for more than just a typical sand-and-sea holiday. In Kalkan, you will find whitewashed houses, colourful flowers and bougainvilleas, traditional cobbled streets boasting a wide range of souvenir shops as well as fine wining and dining. 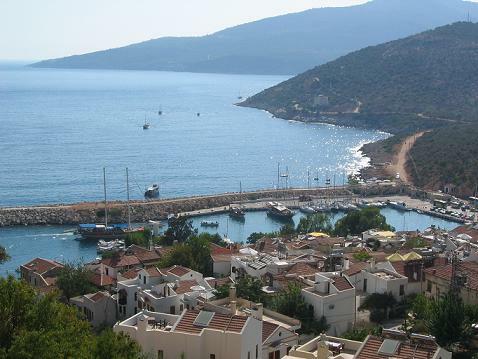 Above all, however, Kalkan property for sale offers some of Mediterranean's most dramatic sea views and romantic sunsets. 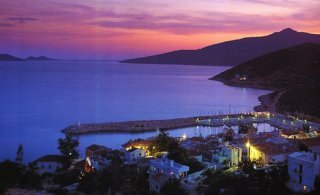 What is there to do in Kalkan? Kalkan is a popular spot for Turkish intellectuals seeking to escape the bustle of big city life. Untouched by mass tourism and more sophisticated than your average resort town, The Guardian compares the town to the Italian Riviera - "minus the poseurs", and the Sunday Times has claimed Kalkan would appeal to those who enjoy Tuscanny or the Dordogne. 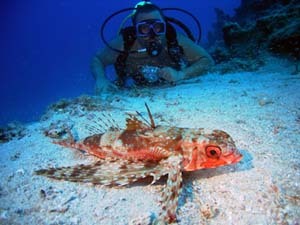 Favourite excursions amongst people in Kalkan include: Diving in Kalkan in one of the 14 well known diving sites in Kalkan, canoeing near the Xanthos River, and exploring Kalkan by sea. There is also great architecture in Kalkan to be seen and admired. 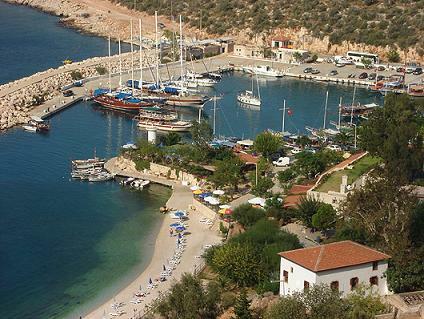 Kalkan beach is also a pleasant beach for people to relax and enjoy. Thanks to Kalkan's unique charms, visitors return year after year to their Kalkan property, relishing the sophisticated and refined charm that cannot be found anywhere else along the coast. This growing town has seen a lot of changes in the past decade. More and more developments are bringing more and more people to the area. Because it's quite isolated the winter tends to drive people away, and many expats shut up shop as the months grow colder. Long, hot Mediterranean summers never looked so good. Because Kalkan is largely untouched by mass tourism, you can spend your 300 days of Turkish sunshine in peace and quiet. Winters isolate this landscape even more, exacerbated by the high concentration of rain falling over this period.